Through a perfect balance of style and performance Burmatex introduces one of its most cutting edge collections. Whether it’s the Saturday night tug ‘o’ war between Chinese or Indian takeaway, or the debate on television channels, we all enjoy being presented with choice. This love of options is something Burmatex have fully embraced in its Tivoli range, which is just perfect for bringing a bit of diverse style to any modern office space or domestic interior. These ethically-sourced, low level loop pile carpet tiles are composed using solution-dyed nylon fibres that bring long-lasting, fire-resistant and easy-clean qualities to the table. So whether you go for a consistent design or mix & match with contracting textures from other Tivoli collections, you know you’ve got a flooring solution that will last. A tufted loop pile construction makes for the perfect mix of comfort and performance. 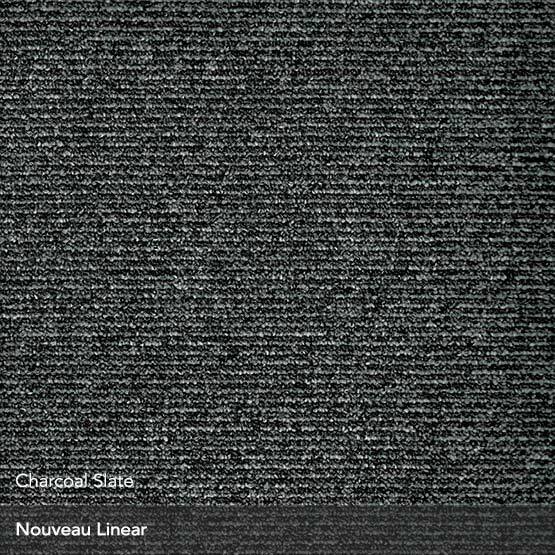 Comfortable underfoot and plush to the touch but with equal measures of endurance, Nouveau Linear was designed with large installations with lots of mobile members of staff in mind. Our 10 year guarantee will give you confidence in your new floor. x Burmatex Tivoli Multiline - Added to your basket.